For too many kids in school, STEM education (science, technology, engineering & math) is like a green vegetable: it’s good for you, but you don’t have to like it, while the arts are dessert: you might like it, but you don’t need it. Meanwhile, the arts are like a dessert: you may like it, but you certainly don’t need it. The University of Notre Dame, Third Coast Percussion, Autodesk, and our other creative partners are working together to change this misconception. The WAVES program (Wonder, Arts, Vibration, Engineering, Science) is an interactive educational presentation exploring the scientific and musical properties of sound waves. 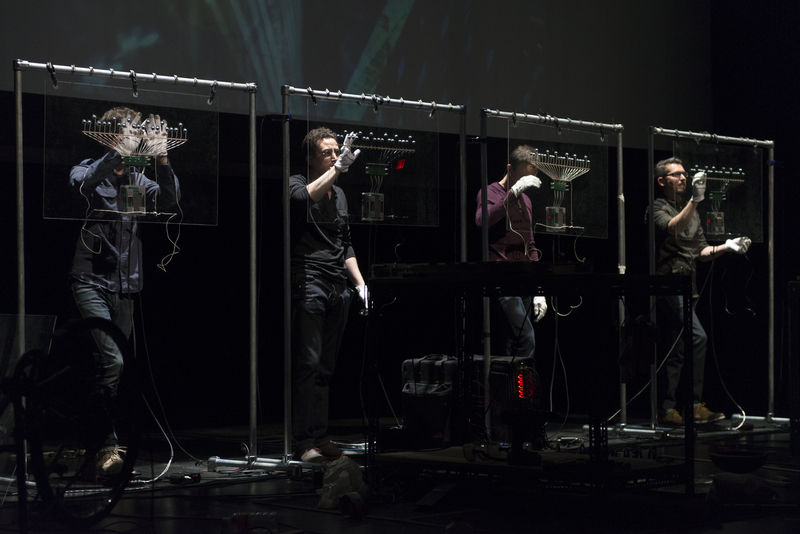 The four members of Third Coast Percussion perform music, teach students about the sound waves using app-based technology and video projections, then pass out custom-designed percussion instruments to all audience members and teach the audience to perform a piece of music together with Third Coast Percussion. 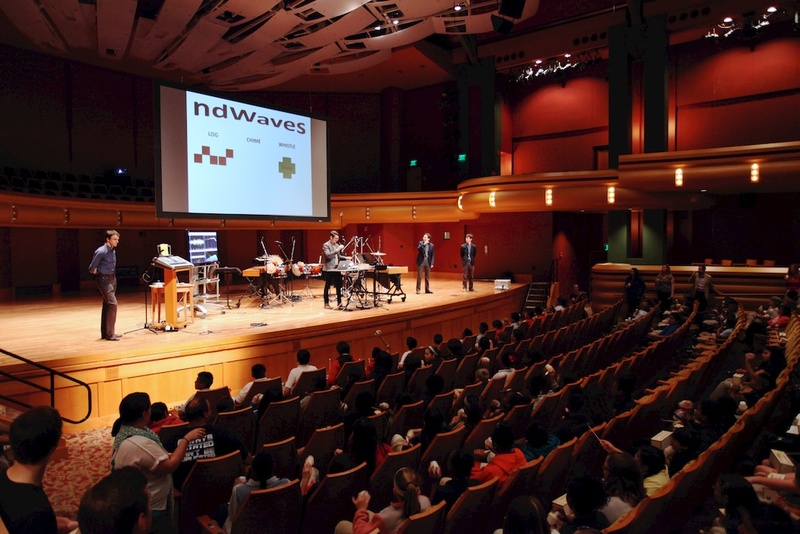 WAVES is an educational program designed for 3rd-6th grade students. Audience size for each performance is limited to a maximum of 150 students. The custom-designed percussion instruments used by the audience were designed and fabricated by students and faculty at the University of Notre Dame’s College of Engineering, led by Professor Jay Brockman, the Associate Dean of Community Engagement and Experiential Learning. Learn more about these custom-designed instruments – click here. TCP ensemble member Peter Martin composed the music that the audience performs with Third Coast Percussion. To learn more about how the music was composed, and how the musical composition led the instrument design process, click here. If you are interested in learning more about the WAVES presentation or are interested in hosting a performance of WAVES with Third Coast Percussion, click here. Wild Sound challenges the distinctions that exist between music and noise, instrument and everyday object, performance and daily life. Composer Glenn Kotche and Third Coast Percussion created this new musical work combining field recordings from cities around the world, live performance, video art and live video projections, and the construction and de-construction of musical instruments on stage. The custom-made percussion instruments used in Wild Sound were conceptualized by Kotche and designed and built by students and faculty at the University of Notre Dame’s School of Engineering. For a fun look at how some of these instruments were put together, check out this post from TCP’s blog. The design for all of the arduino-based instruments used in Wild Sound will be available online for free soon. For more information, photos, and video, click here.